ActualMeds’ cloud-based solution for real time medication management and reconciliation enables team based medication management at the point of care for high-risk patients, such as older adults and individuals with multiple chronic conditions who account for about 80% of the $300B cost of medication non-adherence. In the medication adherence ecosystem, ActualMeds is the only solution to link medication management with care management. Longitudinal monitoring of medication risk and outcomes are tracked and reported with the engagement of patients and care team, including pharmacists. 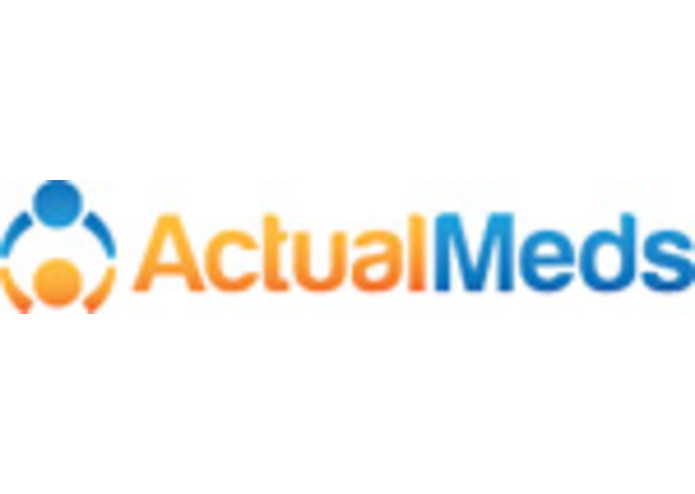 ActualMeds aggregates, matches and validates medication information from claims, EHR and patient to provide care teams with the most accurate and up to date information at the right time and the right place. The system can share data through its own API and can exchange information with any system that utilizes HL-7 standards. The ActualMeds system is designed to be interoperable and integrable to a variety of platforms and function as a module to an EHR (e.g. AthenaClinicals) via full API integration or via external data exchange of C-CDAs or other formats. ActualMeds is able to provide claims data via Surescripts for approved point-of-care use cases - we have been certified to provide Acute Medication History since August 2012, and are currently in the process of certifying to provide Panel Management medication history data before the end of Q2 2016. Following the ingestion and validation of data, an evidence-based rules framework identifies risks, including non-adherence, in the medication regimen for both individuals and populations and can guide tailored interventions. The solution makes risk actionable through the generation of medication action plans that can be circulated among the care team and patient. Through pilots and commercial evaluations (including via the New York Digital Health Accelerator), ActualMeds has demonstrated that it can reduce the time and labor costs associated with medication management and reconciliation by as much as two thirds. It has also demonstrated that it can expose previously unidentified risk in more than 50% of high-risk populations and guide tailored intervention for a third of these populations. Medicare identifies medication management and reconciliation as a best practice and has created incentives for both Payers and Providers to incorporate it into their care management programs. For Providers in acute or ambulatory settings, ActualMeds can support medication reconciliation at care transitions (and for the prevention of readmissions), and/or support a required program component when addressing new reimbursement codes for chronic disease management (CCM). ActualMeds helps healthcare plans accelerate improvement around highly weighted medication metrics that are a part of STARs pay for performance, the top priority of Medicare Advantage plans. Medication reconciliation has been demonstrated to reduce hospital re-admissions that Medicare penalizes sharply. ActualMeds is available as a cloud-based solution that can be used by care teams in conjunction with care management and EHR software, or as a” pharmacist-on-demand “ managed service to provide turn-key medication management and reconciliation to care teams. Pricing is based on an annual license fee and transaction fee per Medication Reconciliation. CTO and Co-Founder, ActualMeds - responsible for strategic and tactical implementation of product and product operations.